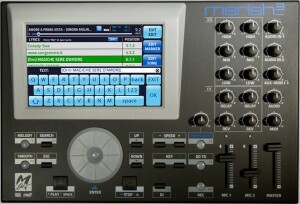 The touchscreen assures fast, straightforward control. The easy learning software and Online Help combine for fast understanding of the unit’s functions. 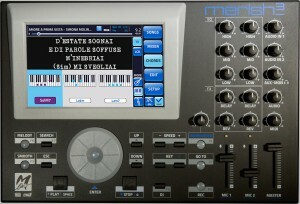 Merish 3 reads music files in Midi and Mp3 Karaoke format. It converts archives for Merish Plus and Merish 2. 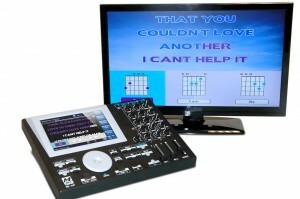 It has a 64 Gb internal memory with space for tens of thousands of backing tracks. 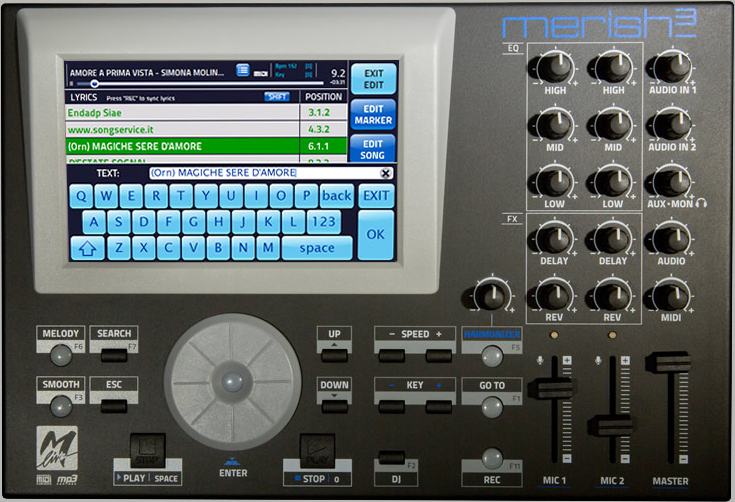 Merish 3 plays and mixes Midi and Mp3 files with the “Wizard” and “Go To” functions. 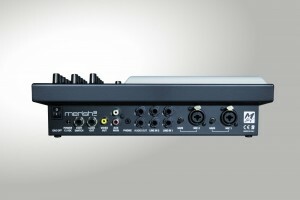 Mixes are possible from and to any point thanks to the use of Markers. Merish 3 displays lyrics and chords in various formats. It can display chord symbols, guitar tablature or keyboard graphics so it’s perfect for learning new songs. Two microphone inputs including phantom power, two audio inputs for keyboards or other instruments, balanced audio outputs + output for foldback monitor, Click output for drummers and headphones socket. 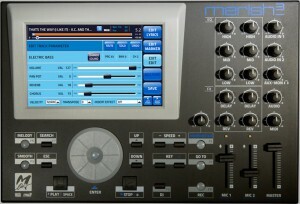 The Mixer has a three-band equalizer, two microphone effects, and a 3-voice Harmonizer on the first microphone channel. All the controls are directly accessible by means of sliders and potentiometers. 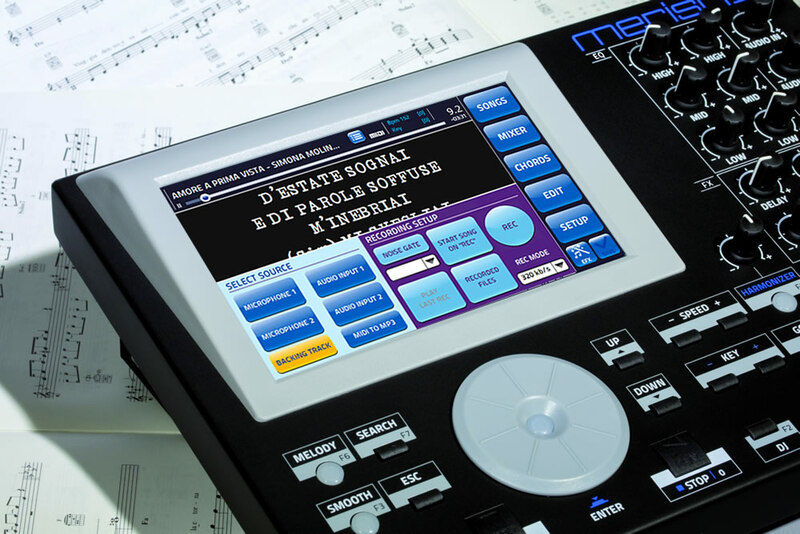 Direct and manual control assures the maximum ergonomic efficiency, especially for live performances. 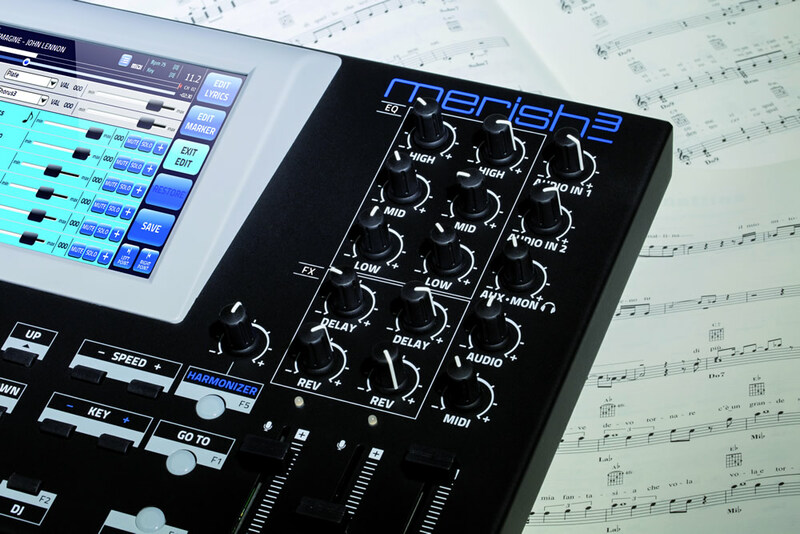 Record your performances with Merish 3 and personalise your Midi file to transform it into an Mp3 audio file. 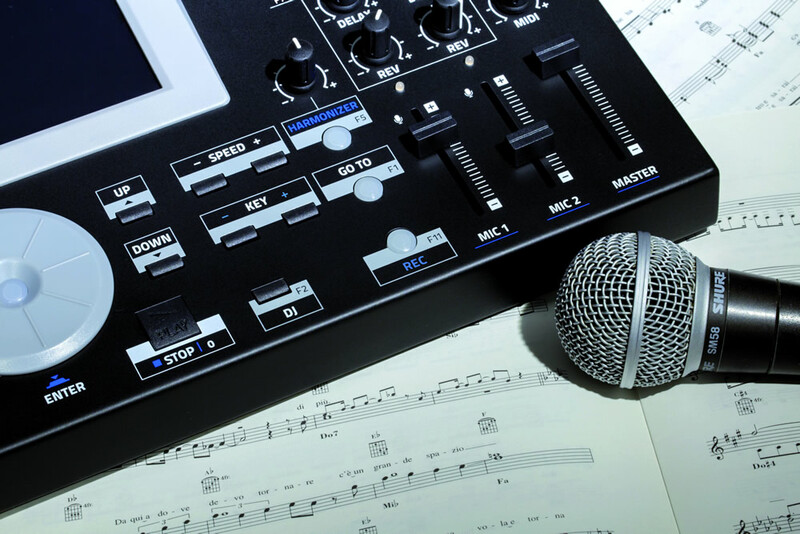 You can add backing vocals or instrumental parts or remove any Midi tracks that are not required. 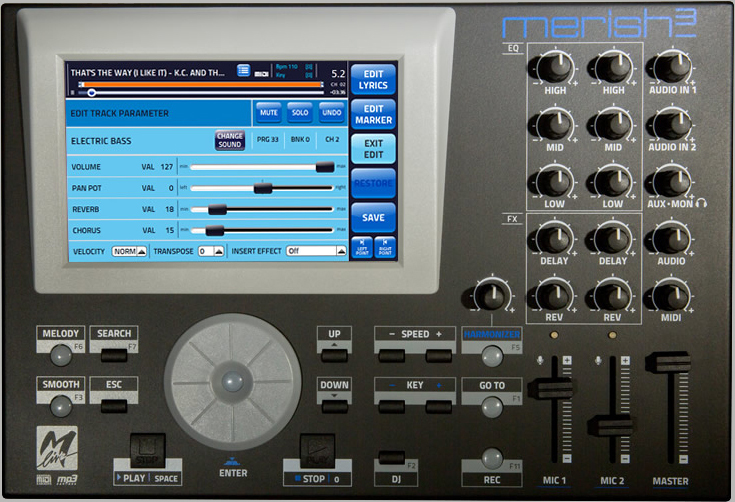 Merish 3 has a powerful Editing section to change the Midi files as required. 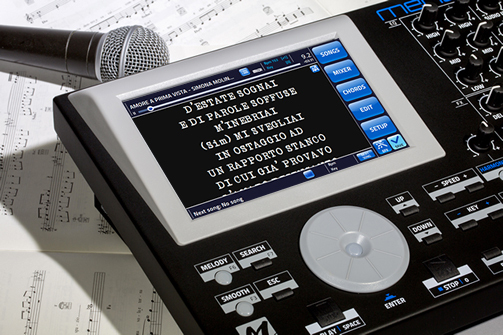 Reads the most popular lyrics formats, including Mp3+G and allows text and synchronism to be corrected. Merish 3 reads .TXT files to import and sync lyrics for songs currently without lyrics data, both Midi and Mp3.